The key to happiness is living life your way, surrounded by the people you love. Hearing loss shouldn’t get in the way of that. In reality, anyone can have hearing loss, from children to adults. What Makes The OPN S Series Different? The Oticon OPN series has enjoyed significant popularity since its launch. Dozens of four- and five-star Oticon OPN reviews speak to the series’ excellent design quality and sound performance. Now, the OPN S has the tricky task of living up to and exceeding its predecessor’s fame. It succeeds thanks to two areas: improved smart sound and a wide-ranging Wi-Fi experience. The OPN S offers a 15 percent improvement in speech understanding and a 10 percent reduction in the amount of effort required for listening compared to previous OPN models. What these numbers mean is that the OPN S lets you detect voices in noisy environments more easily. One thing people loved about the Oticon OPN was its Wi-Fi smartphone connectivity. The OPN S goes far beyond that, enabling users to connect with Smart TVs, music players, laptops, and other devices. This allows you to enjoy your favorite content in acoustical richness. The OPN S uses smart technology to make models easier to use, more customizable, and less noticeable. If all-day power on max settings sounds good, you’ll be happy to know that recharging at night is just as easy. You don’t have to fumble around with on/off switches. Just place each Oticon Opn-S hearing aid directly in the charger and the green LED will tell you when they’re ready to go. If you want to tweak volume control or other settings, you can do it straight from your smartphone with the user-friendly Oticon On app. Friends, coworkers, or clients will think you’re just checking your messages. The OTN S actively works to prevent whistling completely, detecting when it will happen and cutting it off before it even starts. 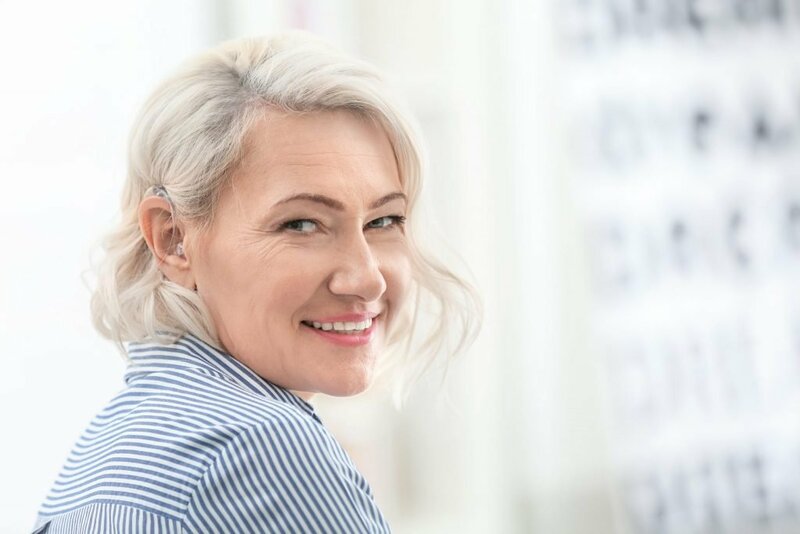 The driving force behind the popular OTN series was always about giving people with hearing loss the ability to listen to conversations like normal. This involves two main challenges: adjusting hearing levels on the fly to compensate for irritating background noise and detecting multiple parts of a conversation, not just one person. The OTN S manages both areas beautifully. Data reports that OTN S users enjoy the same level of speech understanding as people who don’t need hearing aids in noisy environments. This improved sound means you won’t feel left out or uncomfortable at gatherings with friends or business meetings. Another huge advantage has to do with 360-degree sound. Many hearing aids try to compensate for varying levels of volume by only letting you listen to one person at a time. With 360-degree smart sound, you can hear multiple parts of the conversation simultaneously, never missing a joke. Having a hearing aid shouldn’t be any different than needing to wear glasses. It shouldn’t get in the way of your fun, and it definitely shouldn’t define your life. The OTN S series encourages you to be yourself with a slim profile and discrete color options such as Chroma Black, Silver Gray, and Terracotta. Thanks to the device’s wireless connectivity and excellent speech recognition technology, hanging out with friends and family is an absolute joy. Stream the same movie everyone is watching while participating in small talk and laughter with loved ones. To get started with this exceptional and comfortable hearing experience, contact our friendly and helpful audiologists at Metro Hearing. We can answer any questions and provide personalized recommendations to assist you in living life with crystal clear hearing.